We are involved in the Bachelor and Master programs of the University's Faculty 5 - Geosciences. Lectures and courses in General Geology and Marine Geosciences are our main activities. Our main interest in marine gas hydrates is based on their significant role in global and regional processes with societal and economic impact. 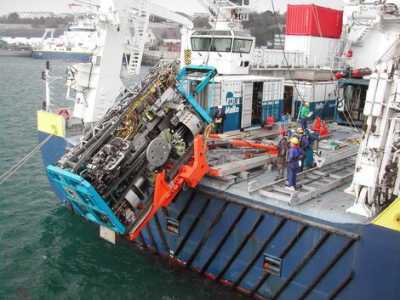 Concentrated around ocean margins, the focused emission of cold and often hydrocarbon-laden fluids is creating highly dynamic cold-seep systems at the seafloor. 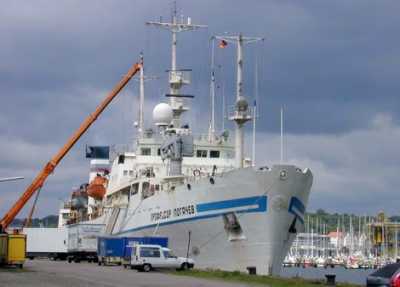 We are using the acoustic systems of research vessels like e.g. multibeam and single beam echosounder in order to investigate colds seeps of the ocean. 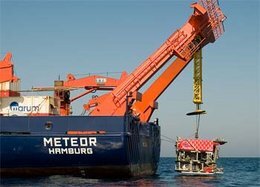 Our projects in Marine Geosciences are funded by the German Research Community (DFG), Government Ministries (BMBF, BMWi), the European Union and others. 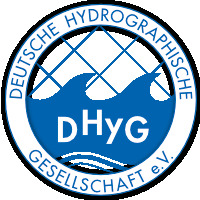 Welcome to the websites of the working group "General Geology - Marine Geology", embedded in MARUM and the Faculty of Geosciences, University of Bremen! 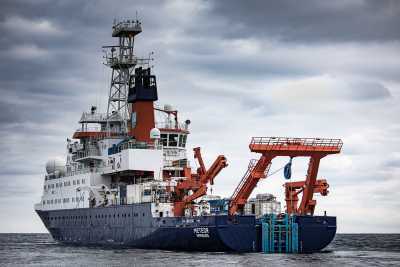 Our main research comprises the investigation of sediments and bedrock from the ocean, as well as geological, geochemical and geophysical investigations at the seafloor and within the water column. Main focus of our marine research is on processes which are responsible for mass and energy exchange between lithosphere and ocean sphere. For this purpose we use several modern technologies (anchorages, side scan sonar, ship's sonar, video controlled devices, ROVs, AUVs, etc.) - beneath the research vessels. Large amounts of methane either as free gas or dissolved in porewater are present in sediment deposits along continental margins. Under condition of high pressure and cold temperature, methane and other gases form ice-like gas hydrates. A focus of our research is on understanding the formation, structure and dynamics of gas hydrates in natural systems and their influence on the marine environment. Like groundwater springs on land, fluids and gas circulate through the upper sediment sequences of the seafloor and escape at so-called cold vents or cold seeps. Study objects are precipitates (carbonates, gas hydrates, and barites) and chemoautotrophic communities which are present at those seeps when methane is oxidized in the sediments. Cold seeps and gas hydrate deposits at active and passive continental margins: South-China Sea, Hydrate Ridge off Oregon, Gulf of Mexico, Black Sea and in the Mediterranean. 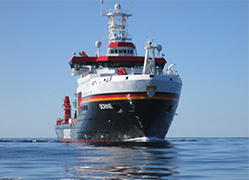 Seafloor mapping at various spatial scales, deployment of TV-guided equipment, seafloor observation and sampling with submarines and remotely operated vehicles (ROV's), petrological, geochemical and mineralogical investigations on rocks and sediments obtained by conventional coring or drilling, use of pressure coring devices. 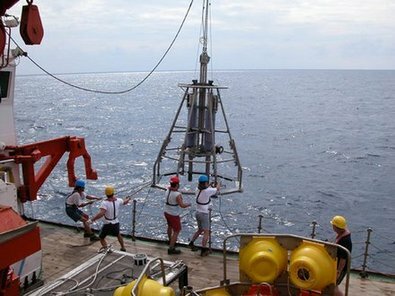 Multicorer recovering sediment cores under "in situ" pressure. 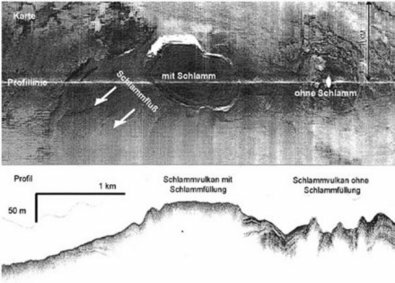 Side-scan sonar image and sediment-echosounder profile at two mud volcanoes in 2,000 m water depth, Black Sea.